The location is excellent, right by the sea and a short walk to the beach and coffee shops and tavernas. The room was large and comfortable and had all we needed for our stay, especially as we stayed in November so out of season. Superb and quiet location just behind the beach. Availability of easy parking. Spacious, as studios go. Proximity of excellent taverna (George's). Good value for money, if you can ignore the shortcomings. It is a great location. Next to the beach and very close to taverns, another beach (sandy), while in a calm neighborhood. The host was very nice. Apartment was fully equipped. We enjoyed our stay in Makry Gialos very much! very nice hosts, they live next door. 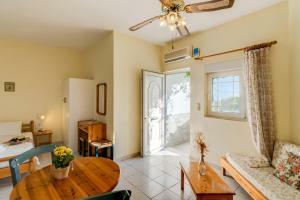 The property is practically on a nice beach, and at short walking distance from the port, tavernas, and everytghing. At the same time it is in a very quiet area. The apartment is wide and confortable. Der Strand ist keine 50 Meter weit entfernt. Essenslokale sind fußläufig gut erreichbar, die Betten sehr bequem. Alles ist sehr sauber. Лучшие апартаменты в округе! По очень многим показателям: прямо рядом с песчано-галечным пляжем, балкон, выходящий на море из спальни и большое патио из гостиной юго-западной ориентации - то есть солнце там появляется только после 16 часов, комфортно завтракать и обедать, глядя на море под шум волн. Пляж уютный, немноголюдный (в самый "час пик" около 25-30 человек на весь 300-метровый пляж. Утром на восходе солнца мы всегда плавали одни. Апартаменты просторные с удобной мебелью, спальни разнесены, два санузла. В общем понравилось все. Для тех, кто ищет спокойный отдых без толп людей, шума, навязчивой музыки - это идеальный вариант. Рядом две таверны, до песчаного пляжа идти 7 минут. La posizione dell'appartamento,vicino al centro e al piccolo porto di Makrys Gialos,raggiungibile tranquillamente a piedi, ma in una posizione defilata e tranquillissima,con una bellissima spiaggia poco affollata proprio a un passo. Rapporto qualità prezzo davvero ottimo. Чистое море, немноголюдно, тихо, уютно. Море прозрачное и замечательно плавать с маской, если кому интересно. Есть и песочный и галечный пляжи. Полно таверн и магазинов в 5 минут ходьбы. Интернет летает, кондиционер в каждой комнате. Посуды хватает. Приятная и гостеприимная хозяйка. Отличное месторасположение, можно сказать на берегу моря. Понравился галечный пляж, море очень чистое, немноголюдно. В шаговой доступности песчаный пляж, таверны. Место тихое, спокойное. Нам очень понравилось. 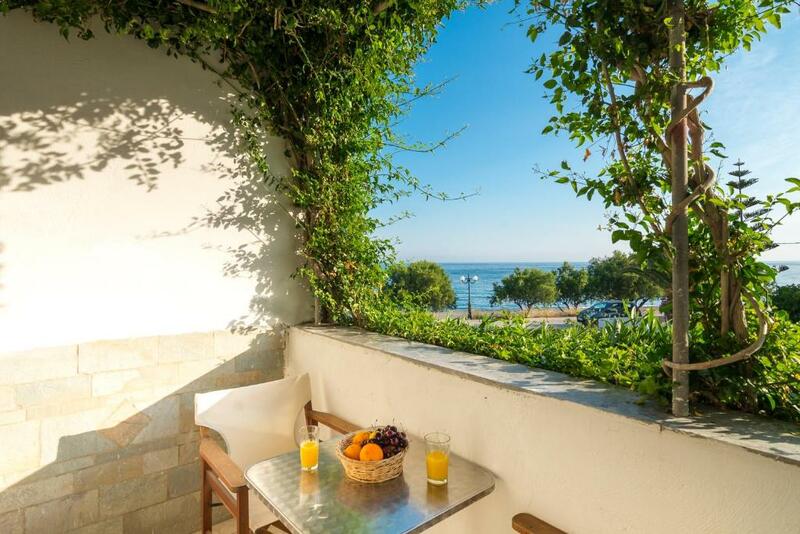 Lock in a great price for Ikaros Villa – rated 8.1 by recent guests! Located right on the beachfront in Makry Gialos Village, Ikaros Villa offers self-catering accommodations that open to a balcony, enjoying Libyan Sea or mountain views. Free Wi-Fi is available in all areas. The air-conditioned studios and apartments come with a seating area and a cable TV. They all have a kitchenette with a fridge, cooking rings and dining area. A mini market and a restaurant are 500 feet from Ikaros Villa. The area is offers a wide variety of activities like mountain biking, water skiing and sailing. Nikos Kazantzakis Airport is at a distance of 50 mi. the owners can help you with car rentals, while free public parking is possible at a location nearby. 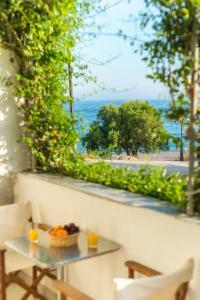 When would you like to stay at Ikaros Villa? 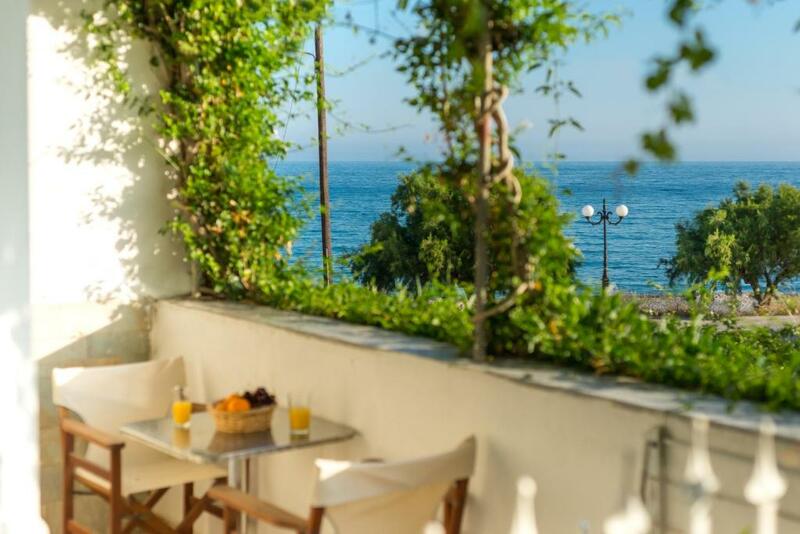 Opening to a balcony with an unobstructed Libyan Sea view, this air-conditioned apartment features a cable TV and a kitchenette with a fridge, cooking rings and dining area. 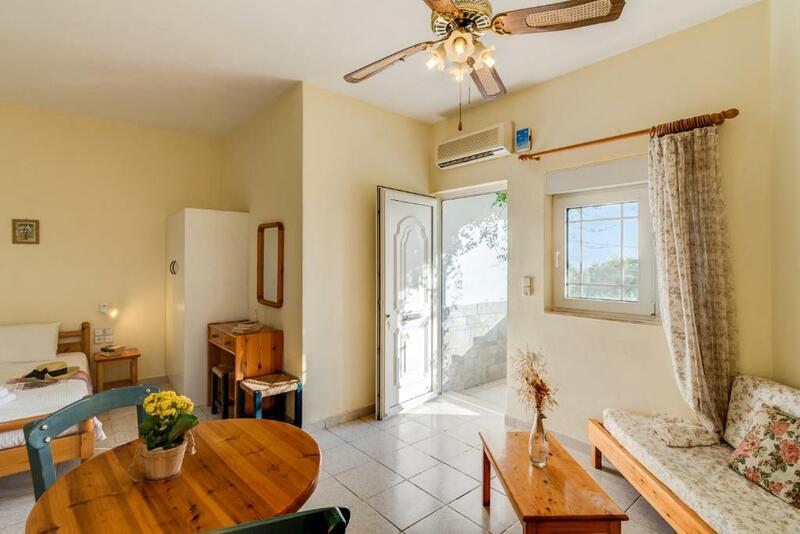 Opening to a balcony with a mountain view, this air-conditioned apartment features a cable TV and a kitchenette with a fridge, cooking rings and dining area. 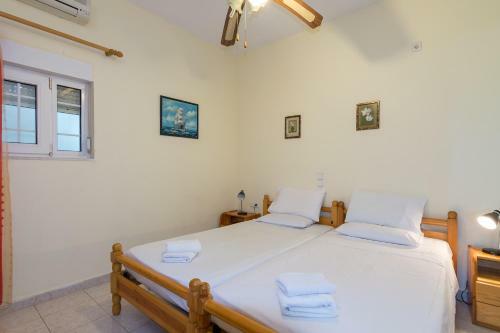 Opening to a balcony with a Libyan Sea view, this air-conditioned studio features a cable TV and a kitchenette with a fridge, cooking rings and dining area. 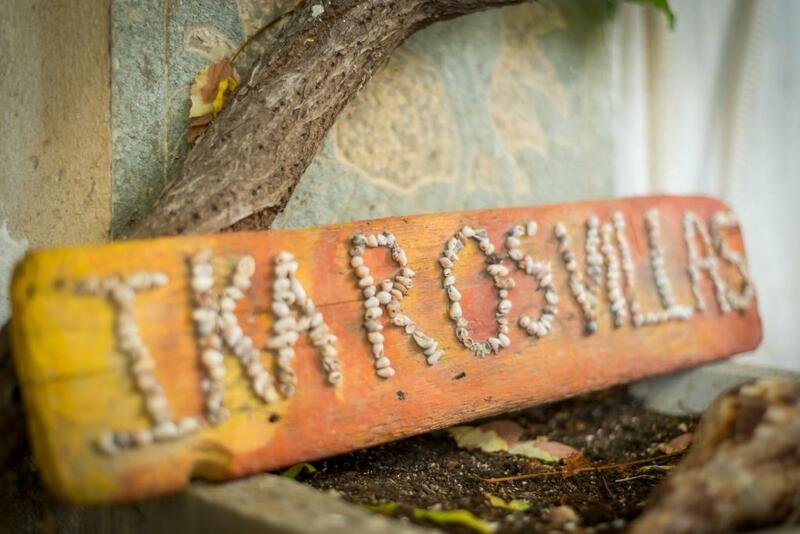 House Rules Ikaros Villa takes special requests – add in the next step! 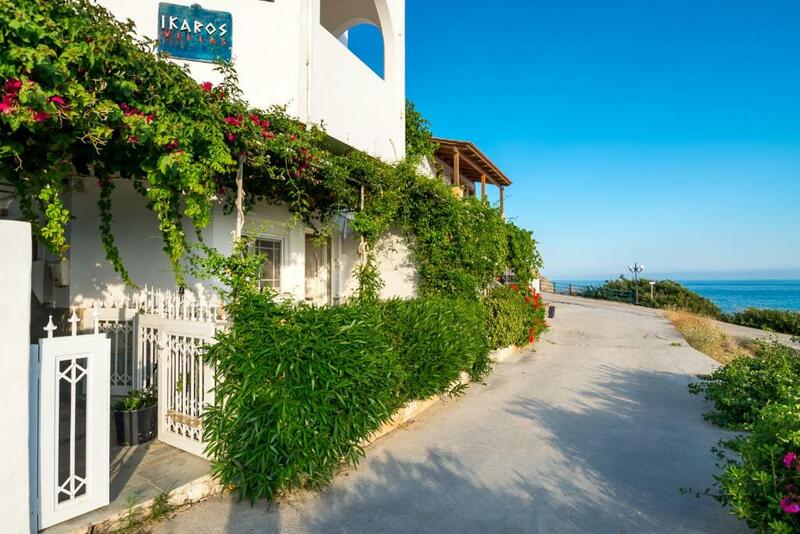 Please inform Ikaros Villa of your expected arrival time in advance. You can use the Special Requests box when booking, or contact the property directly using the contact details in your confirmation. There were no mosquito screens on any of the windows or doors so we had mosquitos the first night. After that we had to keep windows closed after dusk. Some cleanliness issues eg. thick layer of dust on top shelf of bathroom shelves and wardrobe. Cupboards under sink smelled strongly of mould. Shower curtain was too long, so that it obstructed the outlet and was very dirty along the bottom. Kitchen was poorly equipped and glasses were dirty. We felt obliged to wash any of the items we expected to use. Bins were not emptied.